A Honda performs best when it is maintained by experts. 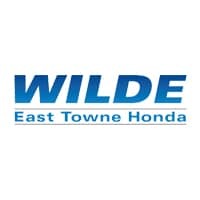 Wilde East Towne Honda Mechanics are the Honda service experts in Madison. Our Honda mechanics are trained to inspect and perform maintenance on your Honda at the recommended intervals.Wilde East Towne Honda is a full-service Honda automotive center providing auto repair, maintenance and detailing in the Madison-Janesville-Portage areas. From quick oil changes and air filter replacements to transmission repair and engine overhaul, our Honda mechanics are trained to service all Honda models in our state-of-the-art-equipped service bays. Customer comfort, convenience and satisfaction are top priorities at Wilde East Towne Honda’s service department. You can go about your day using our shuttle service or loaner vehicles, or wait in our customer lounge with complimentary snacks and free wi-fi access. Listed below are some of the many types of services we offer to our customers. Pricing varies due to the hundreds of different makes and models for which we offer service. If you would like an estimate, please call us at (608) 268-6131. We would be pleased to provide you with an estimate over the phone.